The clients gave us the idea and we ran with it! 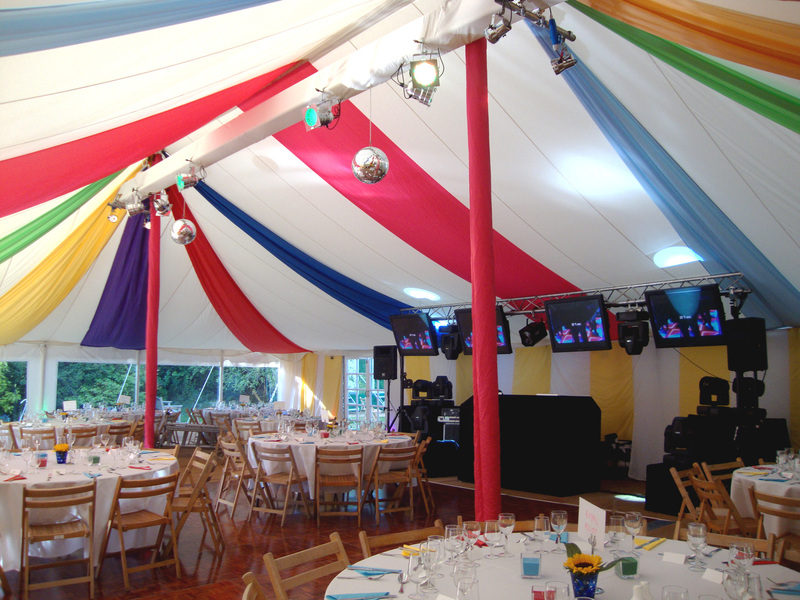 Multi coloured ceiling swags and stripy wall linings added a seaside beach hut feel to the 40ft x 60ft marquee. Guests were sat at various sized round tables with wooden folding chairs to keep the relaxed summer feel going. Drinks on the lawn were served from vintage ice cream trikes and enjoyed in traditional beach deck chairs. We sourced these props especially for this event. To keep the dinner relaxed and informal we placed some of the dining tables on the dance floor and cleared them away to make way for the evening entertainment and dancing. This allowed a larger number of guests to be seated in a smaller space and made the marquee and dance floor feel full all evening. 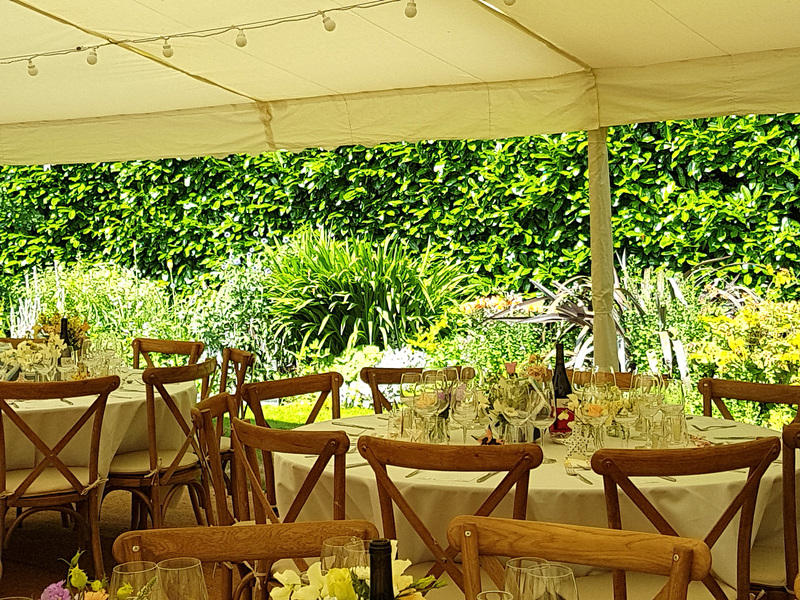 Our marquees are simply clean, crisp and white on the exterior and with a wide choice of linings, flooring, furniture and accessories.